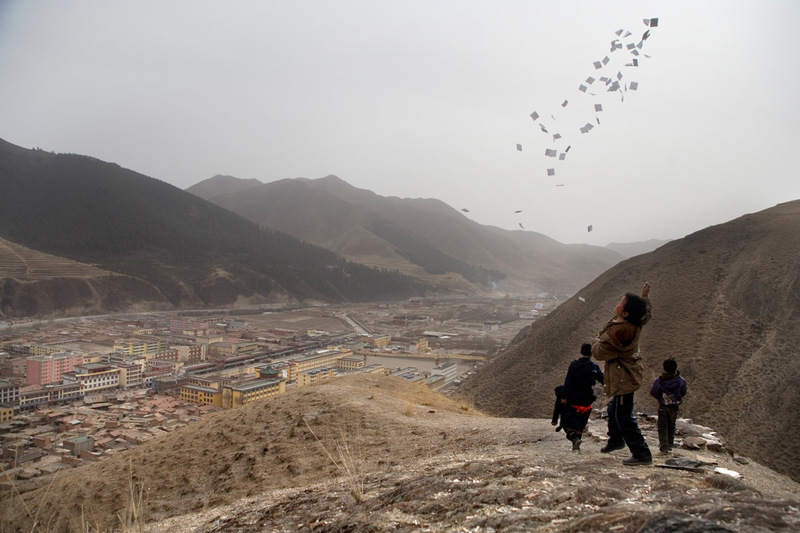 A Tibetan Buddhist boy throws prayer papers into the sky in the hills above Xiahe, Gansu, China. Xiahe is the home to the Labrang Monastery, one of the most important Tibetan Buddhist prayer sites outside of Tibet. Young Tibetan Buddhist monks of the Gelugpa order (Yellow Hat Sect) gather for a ceremony at the Labrang Monastery in Xiahe, Gansu Province, China. The Labrang Monastery (also known as Labuleng Si) is one of the most important Tibetan monasteries outside of the current borders of Tibet. Tibetan Buddhist pilgrims walk along trails above the Labrang Monastery in Xiahe, Gansu Province, China. The monastery is one of the most important pilgrimage sites outside Tibet and each year thousands of pilgrims, mostly nomadic Tibetans, travel to the area for during the Lunar New Year period. 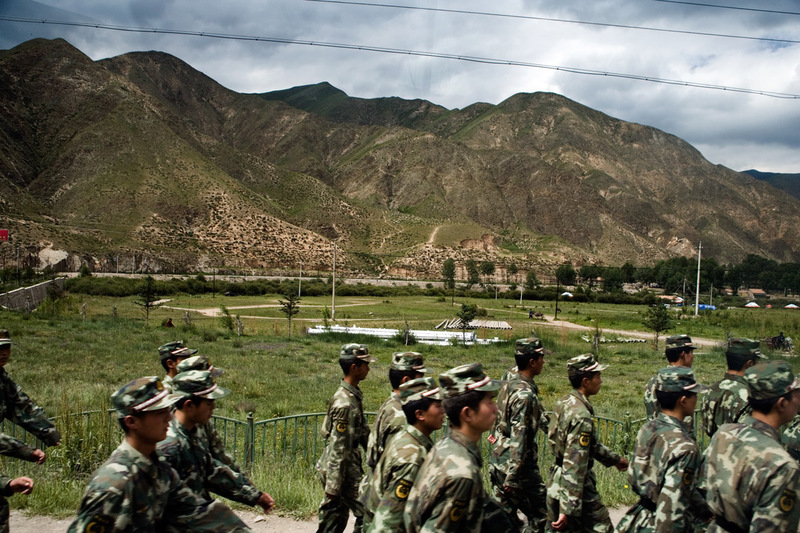 Chinese military police march in formation past grasslands outside of Xiahe, Gansu, China. 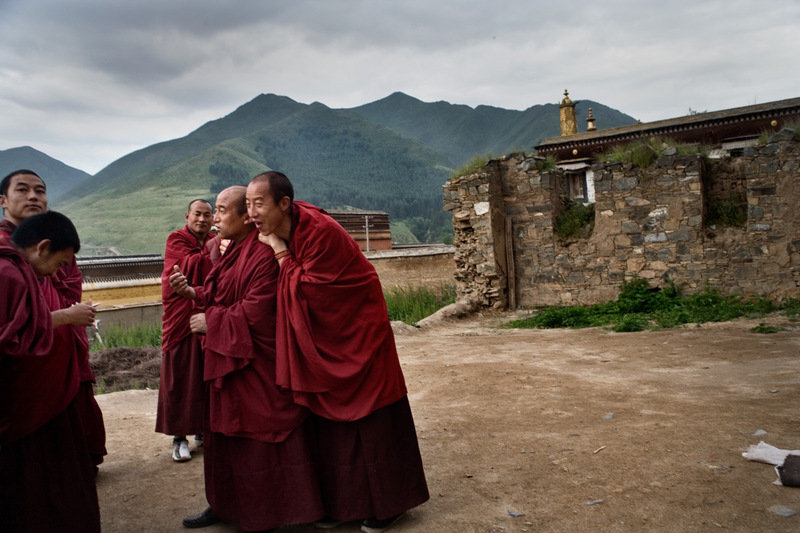 Xiahe, home of the Labrang Monastery, is an important site for Tibetan Buddhists. 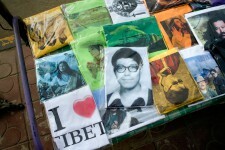 The population of the town is divided between ethnic Tibetans, Muslims, and Han Chinese. 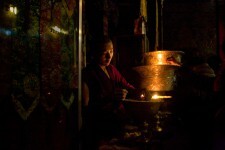 A monk tends butter candles in a temple at the Labrang Monastery during the Monlam Festival in Xiahe, Gansu, China. Countless shops in Xiahe, Gansu, China, sell Tibetan Buddhist religious equipment and paraphernalia and display images of the Dalai Lama. Xiahe, home of the Labrang Monastery, is an important site for Tibetan Buddhists. 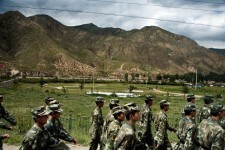 The population of the town is divided between ethnic Tibetans, Muslims, and Han Chinese. 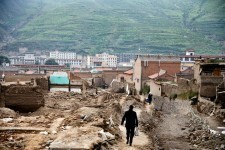 A woman walks along the streets of Xiahe, Gansu, China. 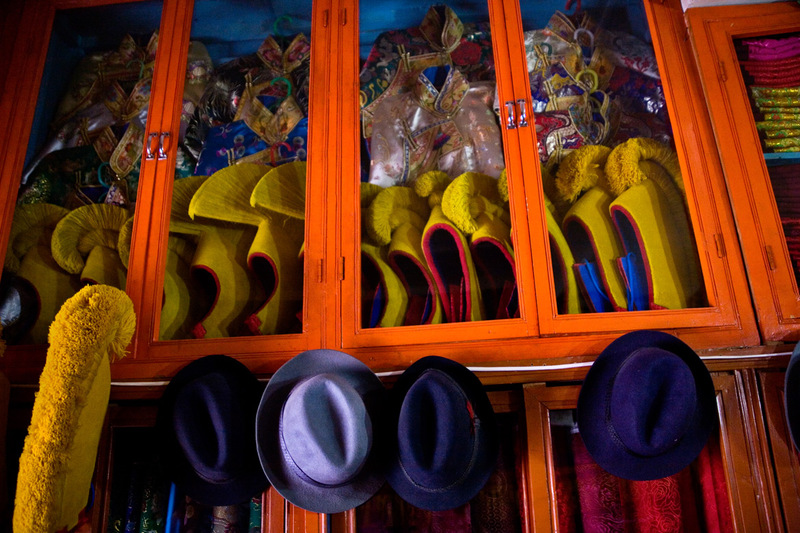 Xiahe, home of the Labrang Monastery, is an important site for Tibetan Buddhists. 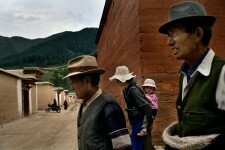 The population of the town is divided between ethnic Tibetans, Muslims, and Han Chinese. T-shirts for sale by the roadside in Xiahe, Gansu, China, display religious imagery and the slogan "I love Tibet" or "I heart Tibet." 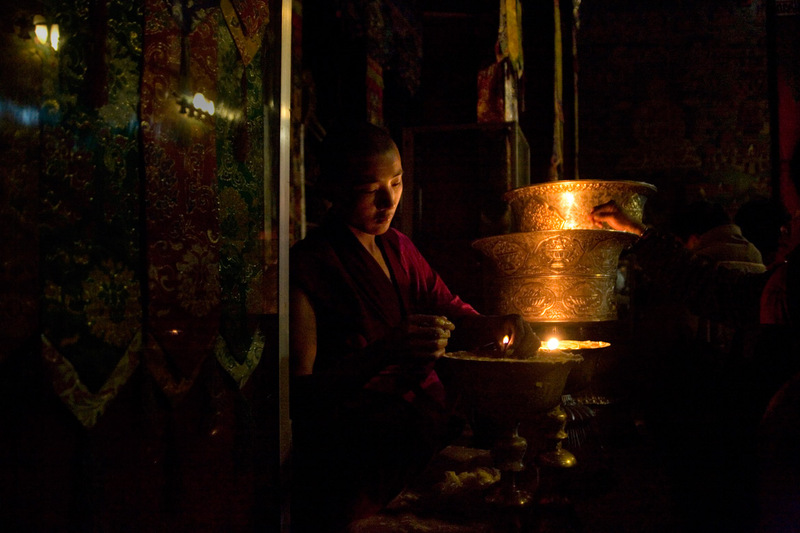 Xiahe, home of the Labrang Monastery, is an important site for Tibetan Buddhists. 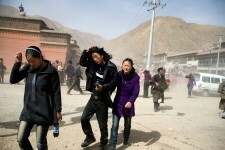 The population of the town is divided between ethnic Tibetans, Muslims, and Han Chinese. 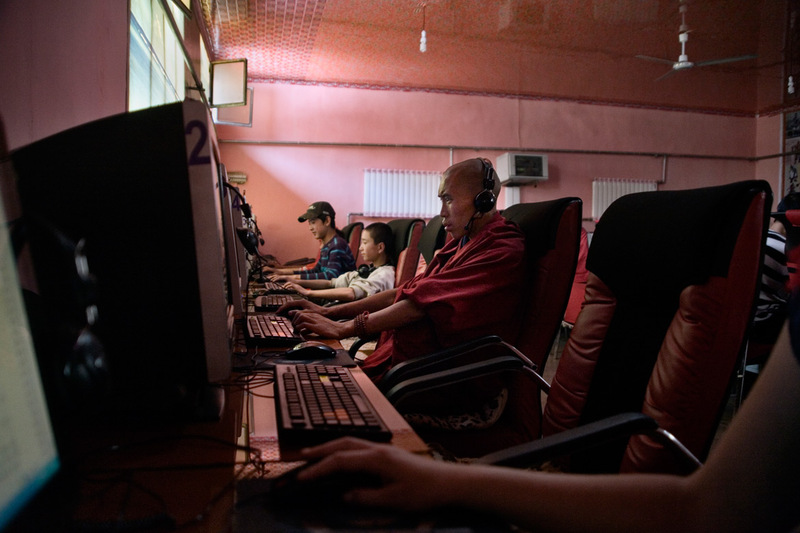 A young Tibetan Buddhist monk uses a computer at an internet cafe in Xiahe, Gansu, China. 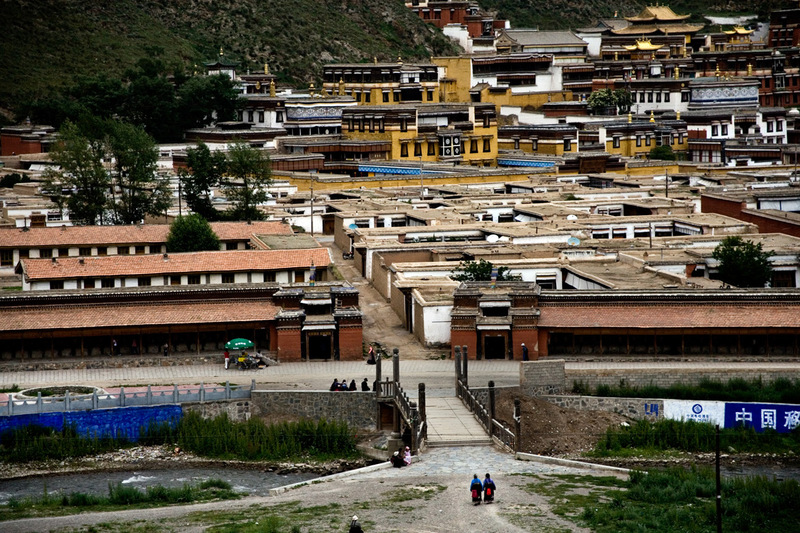 Xiahe, home of the Labrang Monastery, is an important site for Tibetan Buddhists. 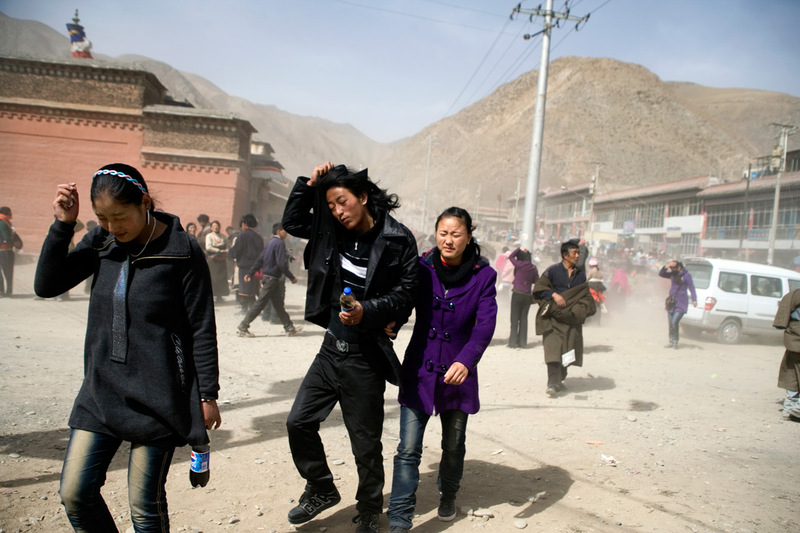 The population of the town is divided between ethnic Tibetans, Muslims, and Han Chinese. A girl jumps over a garbage pit in Xiahe, Gansu, China. Xiahe, home of the Labrang Monastery, is an important site for Tibetan Buddhists. 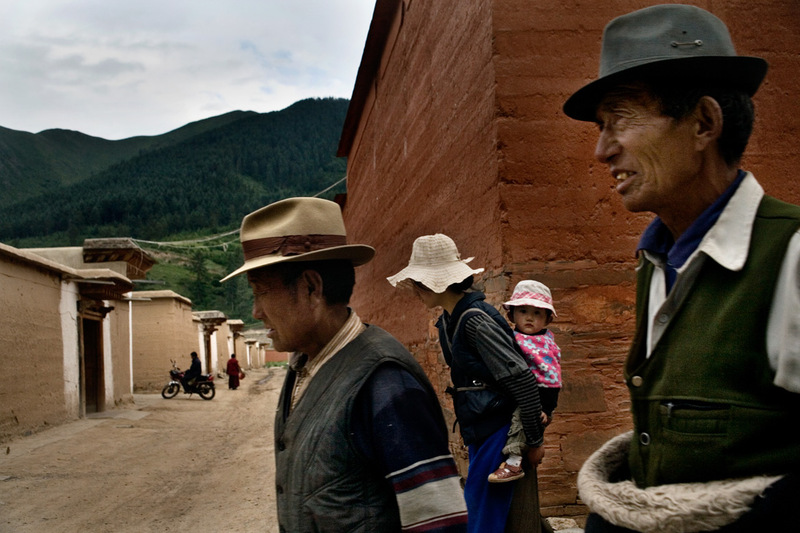 The population of the town is divided between ethnic Tibetans, Muslims, and Han Chinese. 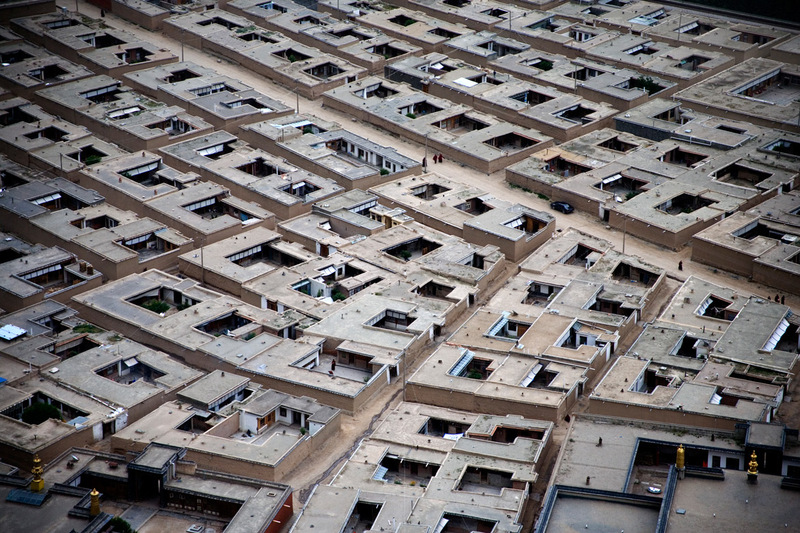 Hundreds of guesthouses for monks spread out around the Labrang Monastery in Xiahe, Ganus, China. 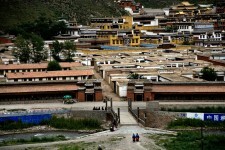 Xiahe, home of the Labrang Monastery, is an important site for Tibetan Buddhists. 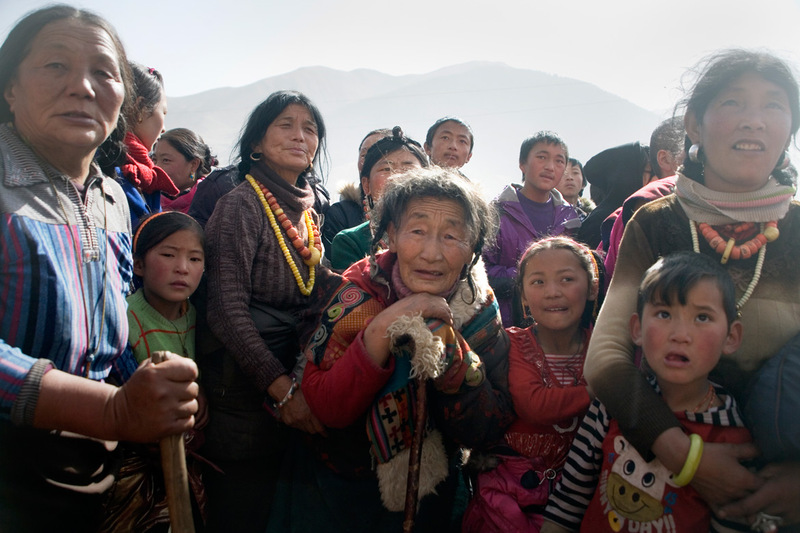 The population of the town is divided between ethnic Tibetans, Muslims, and Han Chinese. 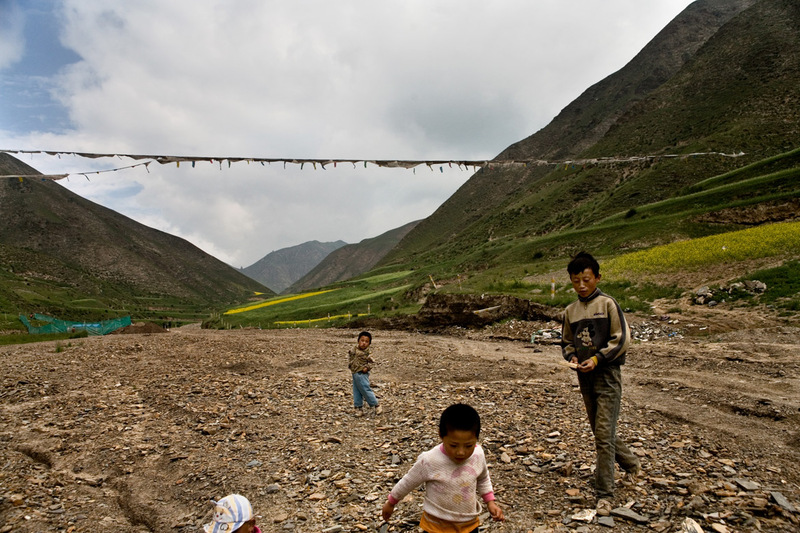 Children play in a dried up drainage bed between mountiains above Xiahe, Gansu, China. 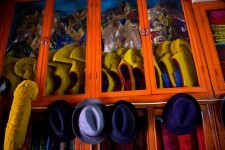 Xiahe, home of the Labrang Monastery, is an important site for Tibetan Buddhists. 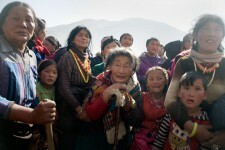 The population of the town is divided between ethnic Tibetans, Muslims, and Han Chinese. 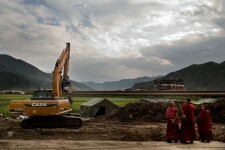 Monks look on as construction equipment digs up grassland in Xiahe, Gansu, China. 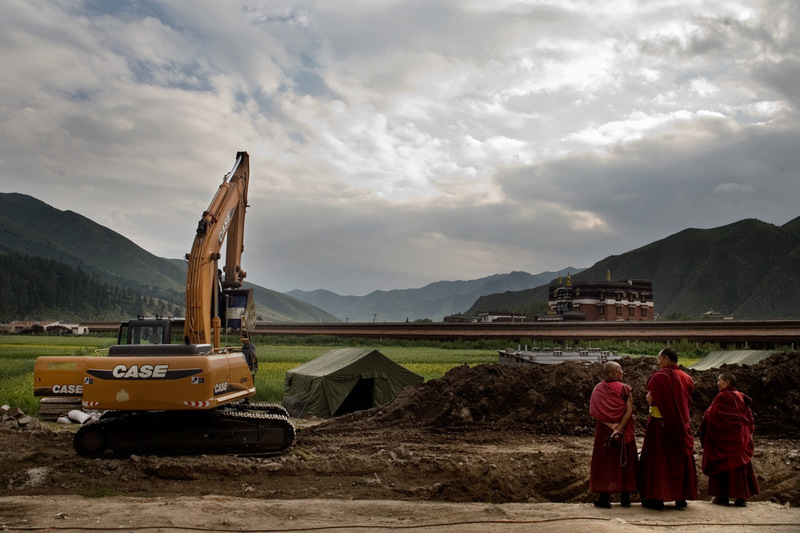 Xiahe, home of the Labrang Monastery, is an important site for Tibetan Buddhists. 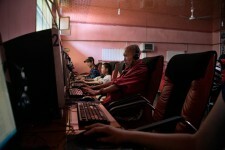 The population of the town is divided between ethnic Tibetans, Muslims, and Han Chinese. Tibetan Buddhist pilgrims fight sand and wind as they walk along the Kora prayer path outside the Labrang Monastery during the Monlam Festival in Xiahe, Gansu, China. 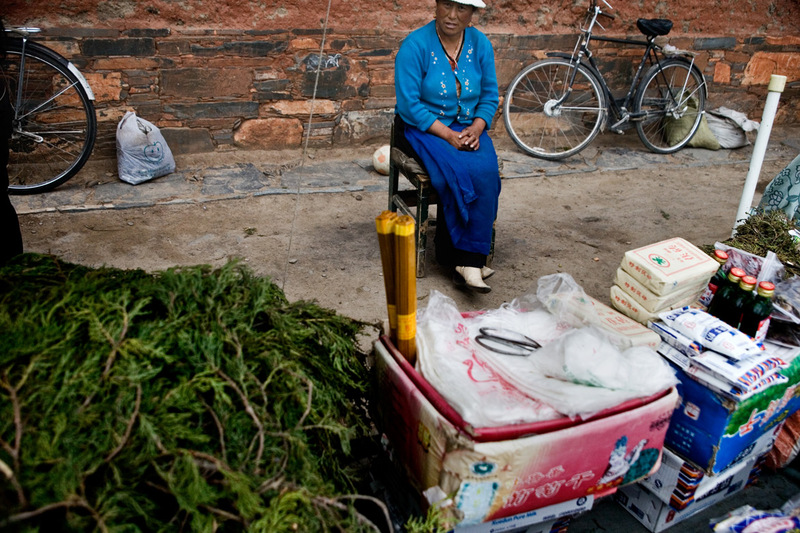 A store owner sits outside of the shop where he sells religious items to Tibetan Buddhist pilgrims in Xiahe, Gansu Province, China. The city houses the Labrang Monastery (Labuleng Si), one of the most important Tibetan monasteries outside of Tibet. 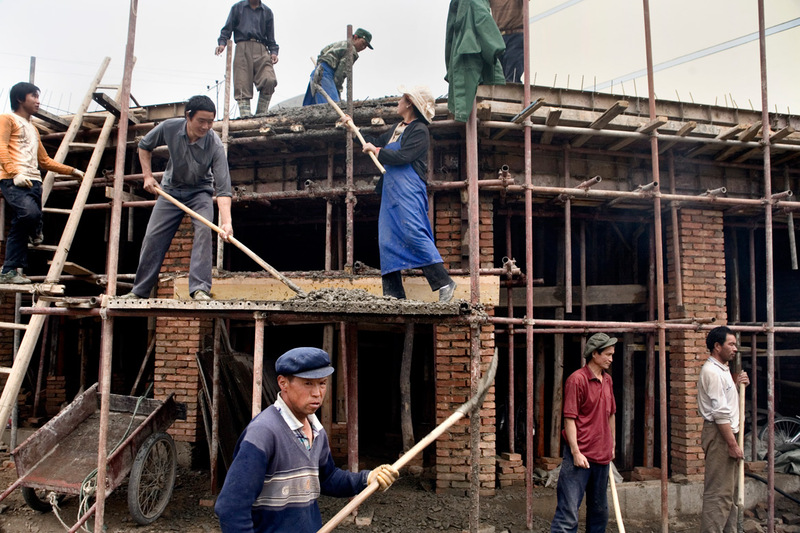 Workers construct a building in Xiahe, Gansu, China. Xiahe, home of the Labrang Monastery, is an important site for Tibetan Buddhists. 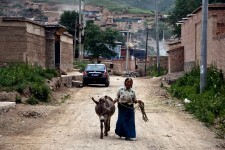 The population of the town is divided between ethnic Tibetans, Muslims, and Han Chinese. 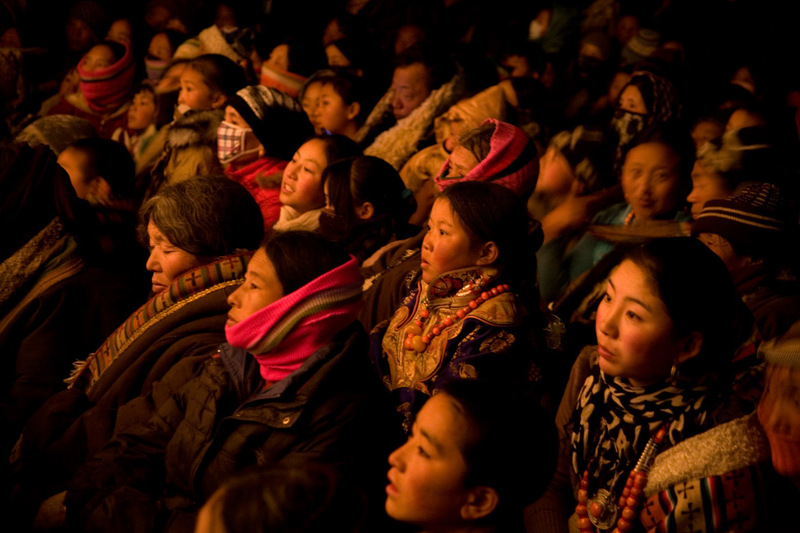 Tibetan pilgrims gather to watch a theatrical performance of traditional Tibetan stories in Xiahe, Gansu, China, during the Monlam Festival. The city is home to the Labrang Monastery, an important site in Tibetan Buddhism. 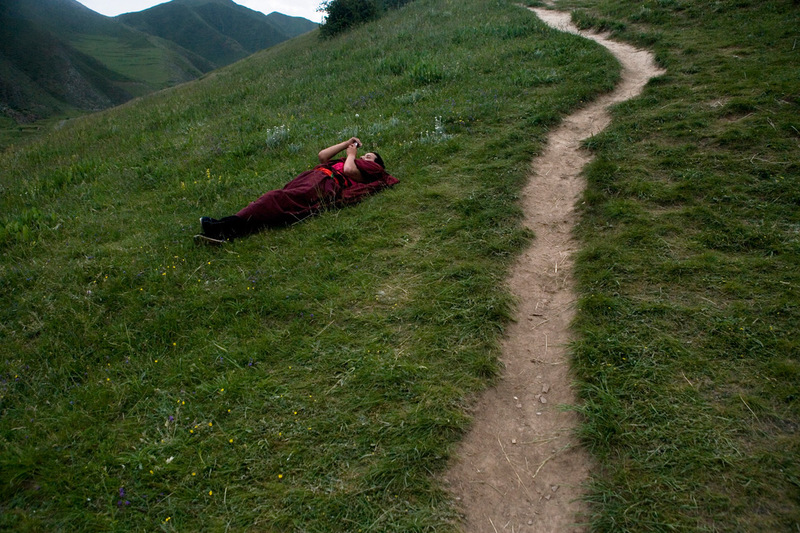 Tibetan Buddhist monks rest among the trees and hills surrounding the Labrang Monastery in Xiahe, Gansu, China. Xiahe, home of the Labrang Monastery, is an important site for Tibetan Buddhists. The population of the town is divided between ethnic Tibetans, Muslims, and Han Chinese. Tibetan Buddhist pilgrims gather to watch monks pray during the Monlam Festival at the Labrang Monastery in Xiahe, Gansu, China. 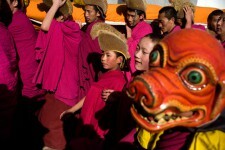 Tibetan Buddhist pilgrims enter the Labrang Monastery complex in Xiahe, Gansu, China. Xiahe, home of the Labrang Monastery, is an important site for Tibetan Buddhists. 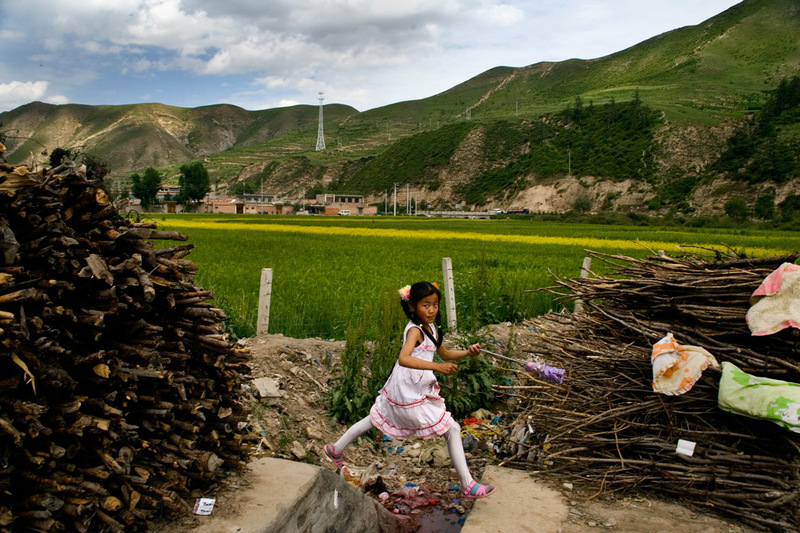 The population of the town is divided between ethnic Tibetans, Muslims, and Han Chinese. 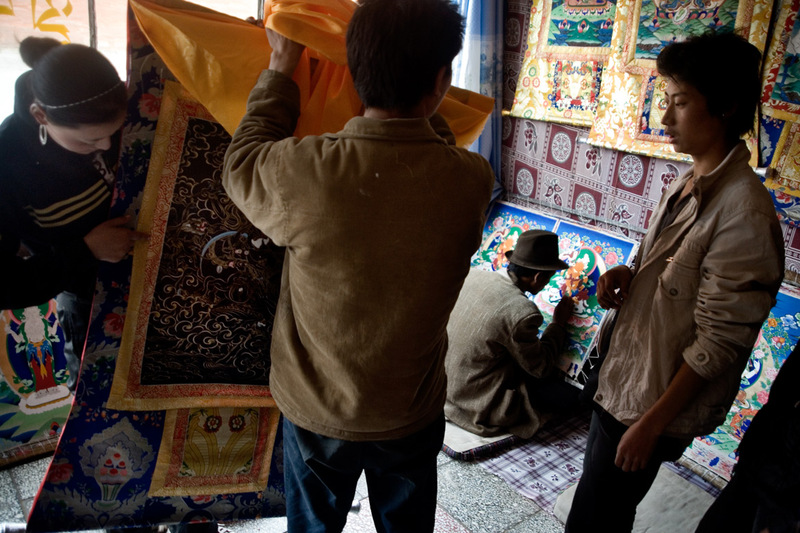 People look at thangka, a traditional Tibetan Buddhist painting, in an artists' studio outside the Labrang Monastery in Xiahe, Gansu, China. Xiahe, home of the Labrang Monastery, is an important site for Tibetan Buddhists. 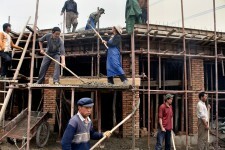 The population of the town is divided between ethnic Tibetans, Muslims, and Han Chinese. 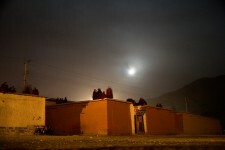 Buddhist pilgrims walk among the guesthouses surrounding the Labrang Monastery in Xiahe, Gansu, China. Xiahe, home of the Labrang Monastery, is an important site for Tibetan Buddhists. The population of the town is divided between ethnic Tibetans, Muslims, and Han Chinese. 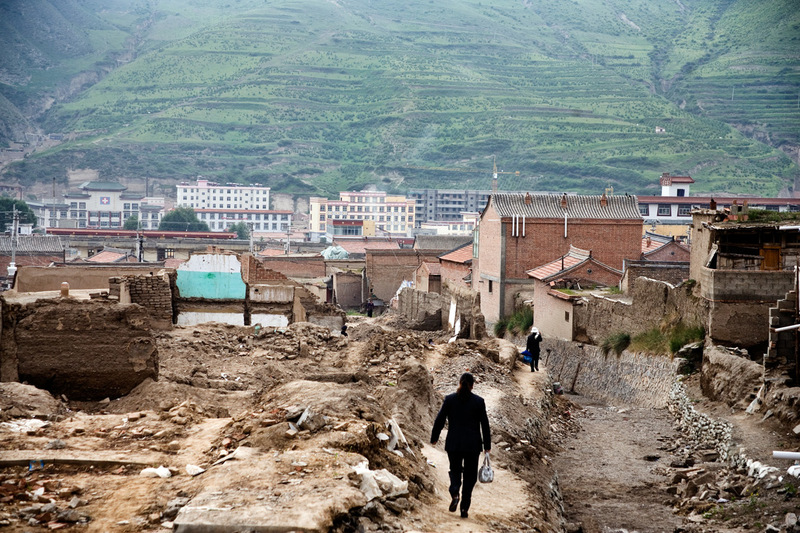 A woman walks along a spillway in a residential area of Xiahe, Gansu, China. 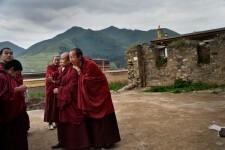 Xiahe, home of the Labrang Monastery, is an important site for Tibetan Buddhists. The population of the town is divided between ethnic Tibetans, Muslims, and Han Chinese. A woman sells Tibetan Buddhist prayer offering materials, including pine branches, nuts, and sugar, outside a temple at the Labrang Monastery in Xiahe, Gansu, China. Xiahe, home of the Labrang Monastery, is an important site for Tibetan Buddhists. 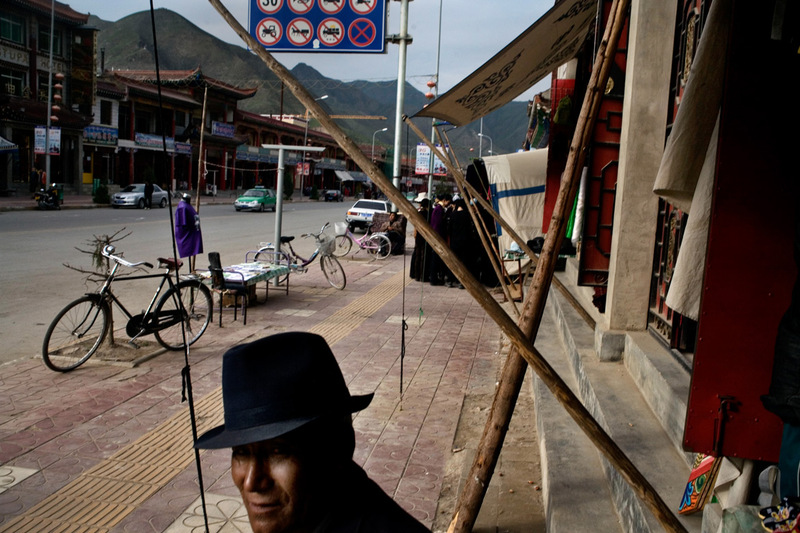 The population of the town is divided between ethnic Tibetans, Muslims, and Han Chinese. Tibetan Buddhist lama monks gather outside a temple at the Labrang Monastery in Xiahe, Gansu, China. Xiahe, home of the Labrang Monastery, is an important site for Tibetan Buddhists. 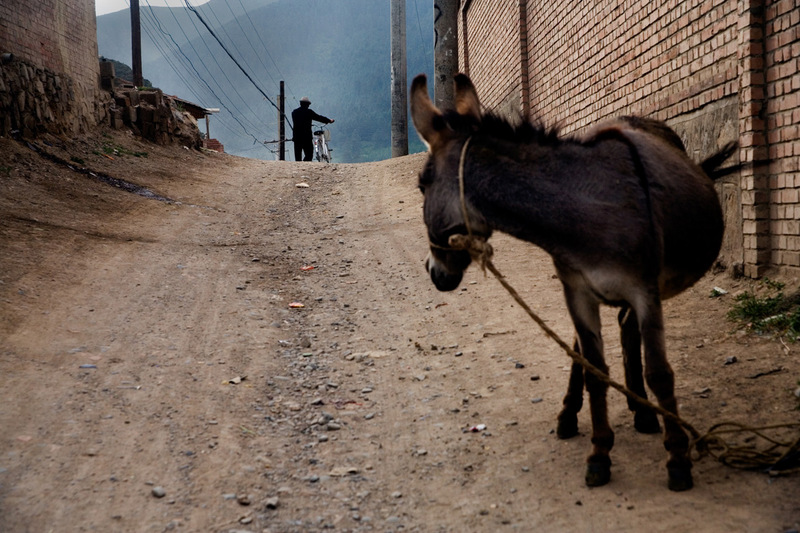 The population of the town is divided between ethnic Tibetans, Muslims, and Han Chinese. A man walks past a donkey on a dirt road in Xiahe, Gansu, China. 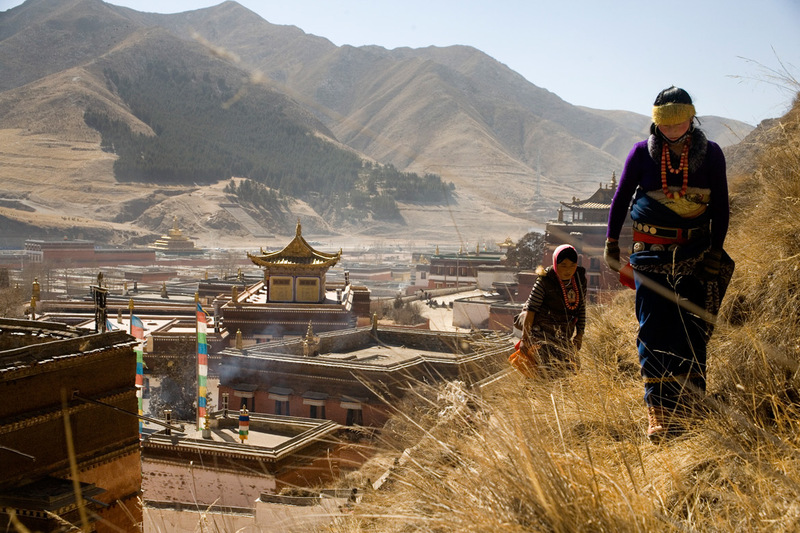 Xiahe, home of the Labrang Monastery, is an important site for Tibetan Buddhists. 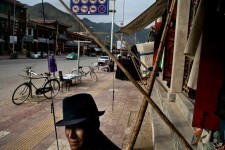 The population of the town is divided between ethnic Tibetans, Muslims, and Han Chinese. 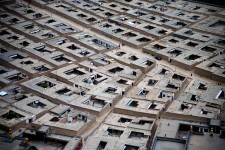 Monks chant from the tops of monastery buildings outside the Labrang Monastery in Xiahe, Gansu, China. 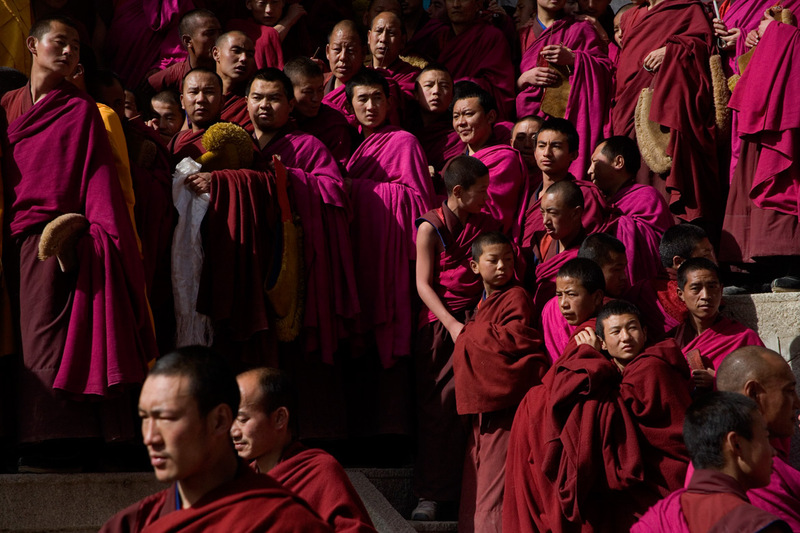 In a remote section of Gansu Province, 1200 monks gather year round in the shadow of the Labrang Monastery, one of the holiest Tibetan Buddhist sites outside the borders of China’s Tibet Autonomous Region. After riots and protests in recent years, the government in Beijing has set a strict limit to the number of monks allowed in the city, which is nestled between mountaintops on either side. The monks stay there to study the religion and also prepare for the annual Monlam Festival, a week-long set of ceremonies and rituals that’s connected with the Lunar New Year. 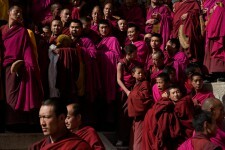 During the festival, tourists and believers crowd the streets to watch the monks, of the Gelug or “Yellow Hat” order, take part in ceremonies and unveil a gigantic painting of Buddha on a nearby hillside. Monks work on the painting for an entire year, and then display it for about 45 minutes before taking it away again.